From humble beginnings, Suzuki has transformed into a massive vehicle manufacturer in the domestic Indian market. Its meteoric rise to the top of the market stems from its keen understanding of market dynamics. The company ventured into the market with a bang with cheaply priced mini cars. This brand received a warm reception and did not take long to become the most popular car brand in the Asian nation. Despite its unassailable market lead, the company now finds itself at the crossroads. Competitors are fast catching up and the market has been fluctuating at a rapid rate. It needs to make a fast decision to preserve its market dominance. Any wrong move will come with heavy repercussions including loss of market shares or leader position. The company needs to deeply analyze its situation before charting its new strategic direction. The following is a detail analysis of the Indian car market, Suzuki’s strategies and possible strategic recommendations for the future situation. The Indian car market exhibits fast expansion rates common for an emerging economy. The country is on the verge of becoming a global force to reckon with and has been liberalizing its industries such as the automobile. With this, there has been an influx of operators seeking to capitalize on the ready demand. The liberalization also resulted in the influx of cheap used and second hand vehicles from overseas (SHAFIULLA, 2016). India almost became a dumping ground for used vehicles from much more efficient markets in the vicinity such as Japan and the UK. The customers in the industry now have wider choices than before when the car market was closed for external participation. Consumers have the options to purchase from any operator that has since ventured into the Indian market. What makes the Indian market special is the rising consumer disposable income. Perhaps this is a result of the rapid economic expansion witnessed in the Asian nation (HORN, FORSANS, and CROSS, 2010). This has resulted in high consumer purchasing power which implies that more and more consumers are opting for sophisticated car models. Three decades ago, mini cars were the favorite and most popular cars due to their relative cheap price. However, they seem to be phasing out with demand now shifting towards compact cars. Even as this is the case, price still matters a lot in this market. In fact, it is arguable that price is the single most important factor in this market. Consumers largely prefer cheap options and will gravitate towards such at any opportunity. Indian manufacturers still control substantial market shares. They still enjoy the market leadership position bestowed upon them by the closed economy of the past. This allowed them to enjoy the first mover advantage to maintain a firm grip on the market. However, the foreign manufacturers have been making inroads into the scene. It is only a matter of time before they surpass the domestic operators. These operators come with high efficiency levels and have pushed the standards in the Indian market even higher (RASTOGI and SHARMA, 2012). In addition, with their presence, more Indian consumers now have the chance to purchase cars from sophisticated manufacturers from mainly the west. Domestic operators seem to lag behind with their business models which largely rely on inputs from various intermediate manufacturers worldwide. They can acquire safety belts, chassis, gears, or shafts from various manufacturers before assembling or fitting these into their cars. However, the government still maintains significant presence in the industry with its constant intervention. It is always implementing import duties perhaps in an effort to protect the yet to stabilize domestic car industry. In addition, the government also awards financial incentives to domestic manufacturers towards modernizing operations (MALJI, 2013). It understands the operators are up against much more efficient, foreign operators and would like to eliminate their disadvantage by facilitating such initiatives. . The following is an analysis of the company’s present situation in relation to the possible decisions that could improve efficiency in the company. Perhaps what ails Suzuki more than anything else is its complacency. The company seems to have grown complacent that the market leadership is its automatic right. This is evident in the way it has handled its products development process. It needs to keep on increasing the utility levels in its vehicle models. Case in point is Maruti 800. Launched in 1983, the vehicle maintained its original specification for 15 years up until 1998. The company was hesitant to undertake modification due to its popularity. Anyway, the brand eventually declined with the entry of additional competitors. If only the company had undertaken constant product developments, it would still have the unassailable market lead it enjoyed then (SHUKLA and CHOTAI, 2017). Only such a measure would ward off competitors and keep a firm grip on existing loyal customers. 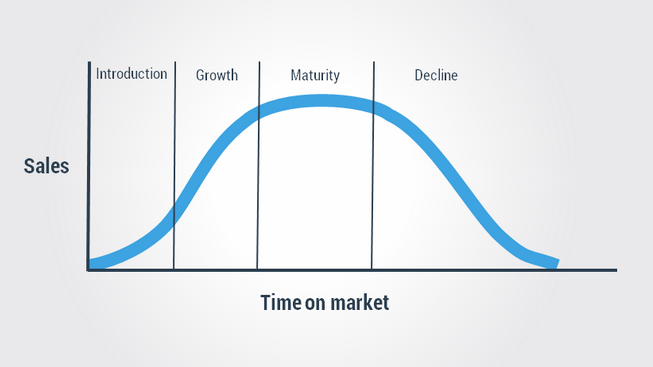 The product life cycle hypothesis tries to explain the life of products in the market. It argues that products like any other activity experience changes in their marketing process in the market. At first, they undergo through the introduction and growth. Later they attain maturity which basically marks their peak (SHUJAHAT et al, 2017). Afterwards, they begin to decline steadily and could disappear into oblivion. It seems as if Suzuki has not yet mastered this model. The reason is that it excellently handled the introduction and growth phases. Back in the 1980s and 1990s when it was still new in the market, it handled the steady growth of demand as depicted in the above chart. However, it might have lost touch with the market upon hitting maturity. In fact, Suzuki better act quickly to maintain its current favorable grip on the Indian market (MALJI, 2013). From this point, Suzuki products will only proceed to the decline stage where it will be almost impossible to resuscitate its dwindling returns. The appropriate way to handle the maturity stage would be to undertake additional product development. Customers by now seem to have become aware of superior value addition in potential competitors and no longer consider Suzuki products to be as innovative as two decades back. With more product development and upgrading on existing Suzuki vehicle models, the company could decelerate the maturity phase and prevent its models from attaining the decline stage (SUZUKI, 2016). In fact, the company can also pair up these model refurbishments with aggressive marketing campaigns targeting these consumers. This way, it informs its loyal customer base upfront in a bid to shore up demand once it rolls out the official marketing of the new and improved models. Since its official market entry, Suzuki relied upon a low price strategy to appeal to the customers. In fact a keen analysis of its business models reveals that this was the major force behind its overnight success. Differentiation can occur either through low cost of value addition aspects. Suzuki chose to go down the low cost strategy by presenting a very affordable vehicle brand to the masses (GUPTA and MALHOTRA, 2013). However, the company changed over time and began modifying its strategy. From its low cost strategy, it began to increase the price by small margins. This was biggest strategy error in its entire history. It ought to have maintained the initial low price level. In addition, the market became more liberalized which implied numerous market entries began to occur. With this, its cars became more unattractive as the days went by. Now with the adoption of a constant low cost strategy, Suzuki will probably stand high chances of reclaiming its lost glory as the de facto market leader in the Indian car market (ABREU, 2016). There is need for a constant pricing strategy. The typical low pricing model propelled Suzuki into market success and it is still a wonder why it let go of it. Normally, the model demands the setting of a constant low price to appeal to low and middle income consumers with low disposable income. On the contrary, what Suzuki did was to go for a skimming strategy. Under this model, the operator begins by setting a low price level the slowly increase the price level as it gains popularity. Such a strategy is preferable for market entry especially in a case where the operator has got no loyal customer base (SINGH and SALWAN, 2015). With the low prices, they appeal to the low and middle income consumers. Upon attaining a firm grip on these two segments, the operator then moves on to increase the price levels slowly. At this point, they begin to low the low market while making inroads into the upper middle income and high income market segments. By this time the assumption is that the brand will have become much stronger to drive demand in the market place (VITOLLA, RUBINO, and GARZONI, 2017). Basically, this strategy substitutes the lower income segments for the upper alternatives. It is exactly what Suzuki was trying to do with its increasing price levels. This, however, must change. Suzuki should stick to the low cost strategy which endeared it to the masses in the final quarter of the last century. The market position for Suzuki currently does not complement effective marketing and future success. The company seems to have become stagnant over the years and does not show any signs of making progress. Two decades back, its models seemed to be quality and innovative due to lack of competitors to compare with. But with the liberalization of the Indian market, the company has increasingly come under competition from very quality vehicle manufacturers from all across the world but notably Japan and South Korea (MOTOHASHI, 2014). Such efficient manufacturers have surpassed its value addition. To make it worse, the company has been increasing its prices progressively. Currently it occupies point A in the above positioning map. This point denotes moderately unsophisticated quality or innovation but a price level close to high levels. On the other hand, it needs to abandon this position in favor of point B. This is where it will have to improve its value addition and simultaneously lower it prices (ORIEKHOVA, 2016). This way, Suzuki will have returned to where it was in the 1980s when it had the most innovative car models marketed at a considerably low price level. To address this issue, the company must undertake a set of measures. First, it needs to go back to its roots. The popularity of the company’s vehicles in the 1980s stemmed from its joint venture which yielded the ever popular Maruti models (BINDLISH and BANSAL, 2013). So far, Japanese and Korean models have been making inroads and revolutionizing the Indian automobile industry. Perhaps Suzuki should seek out such manufacturers that could assist it to boost its value addition levels from superior, foreign technology. This joint venture would not only benefit Suzuki alone. In return, such partners will enjoy improved market shares by owning stakes in the most popular models in the expansive Indian market. Having keenly analyzed the market dynamics and Suzuki’s strategies, it is critical to minimize the revealed inefficiencies. The following are but a few critical recommendations that will increase the chances of Suzuki maintaining its market leadership position. Part of the issues emanating from the Indian automobile industry has a lot to do with sustainability. This concept requires efficient use of resources to safeguard the existence of future generations. In this case, the levels of emissions in India have been very high. Perhaps it is time this expansive market with a billion plus consumers embraced sustainability. The number of potential car buyers alone in the country alone should be a cause of concern because soon India could become among the top automobile market globally (SINGH and NAIB, 2017). In this case, Suzuki can lead by example by minimizing the levels of emission in its cars. This is what sustainability is all about. Such a move will go a long way to protect emissions which contribute towards the greenhouse effect. Therefore, Suzuki ought to consider introducing hybrid cars into its product portfolio. These cars come fitted with modern technology that utilizes both fossil fuel and electric energy. This way, the overall dependence on fossil fuel reduces which is a positive move since they contribute to higher emission levels. Apart from reduced emissions, hybrid cars are relatively cheaper to maintain. They do not consume too much fossil fuel due to the supplementary electric energy. This factor alone could increase the demand for the new models due to the cheaper maintenance costs (SHUKLA and CHOTAI, 2017). Whereas the Indian market is on an upward trajectory, it still does not help the fact that a mere 11 out of 1,000 households own cars. Maybe operators just need to develop creative strategies to appeal to this massive market with futuristic innovations such as hybrid cars. The market has largely been shifting towards compact cars from the traditional mini. A keen analysis depicts substitution effect where the uptake of compact cars decreases the demand for mini options. Therefore, Suzuki must go all out to increase operations into all these segments. Even if customers refrain from consuming one of its products they end up preferring an alternative from the same company (JOSHI, 2010). This way, it would have widened the choice to consumers. Suzuki’s success emanated from capitalization of the mini car market. It needs to focus more on the fast expanding compact car market while simultaneously presenting alternative options to consumers. . Fully autonomous assembly lines are lacking in the Indian market which relies heavily on specialized vendors. Indian car manufacturers are simply assembly points. Domestic operators have to source automobile parts from various intermediate manufacturers then simply fit such into their car brands (SOUMYA and RAMANATHAN, 2016). In fact, some even prefer the same supplies implying that they rely on the same parts even for their various models. This has attracted heavy criticism for producing similar small vehicles. To do away with this, Suzuki must now set out to develop its own autonomous assembly line. This manufacturing plant must rely on parts developed internally. By doing so, it will have increased the chances of lowering the overall production costs. What is more, the marginal costs of each unit will decrease making it enjoy better profitability. Finally, an autonomous assembly plant will allow the company the opportunities to benefit from economies of scale (MOTOHASHI, 2014). It will derive better performance simply by undertaking the entire production process of its cars singlehandedly. Up to 95% of Indian households do not own cars. In other words, the statistics also translates to 11 per 1,000 individuals who own cars. Perhaps the higher prices for vehicles in comparison to other products stand in the way of additional uptake. As mentioned, the Indian market has a very elastic demand and will incline towards operators with the lowest price level. In this regard, Suzuki must explore this option. Its decision in the 1980s to charge lower prices revolutionized the entire industry (YADAVand SAGAR, 2015). Now the company must get ready to usher a new era of expansion with vehicle financing. Not only would vehicle financing facilitate faster uptake but also minimize threat from cheap used car market from overseas which eat into Suzuki’s market shares. The fact that Suzuki is a force to reckon with in the Indian market is not in doubt. The company did a splendid job in developing cheap mini cars for the developing market. However, market developments have finally eroded its competitive edges and now needs to find new ones. The above discussion centered the constitution of its current strategies and the inefficiencies in critical aspects. The above recommendations provide a summary of the points Suzuki needs to consider to turn around its situation. Only a successful implementation of these recommendations can guarantee prosperity in the future. ABREU PEDERZINI, G.D., 2016. Strategic management cultures: historical connections with science. Journal of Management History, 22(2), pp. 214-235. BINDLISH, M. and BANSAL, P., 2013. 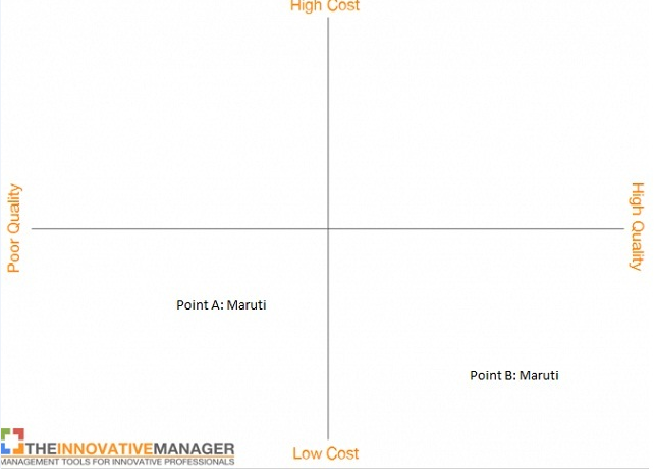 AN OVERVIEW & PERFORMANCE EVALUATION OF “MARUTI SUZUKI INDIA LIMITED. International Journal of Management Research and Reviews, 3(12), pp. 3980-3986. GUPTA, S. and MALHOTRA, N., 2013. Marketing innovation: a resource-based view of international and local firms. Marketing Intelligence & Planning, 31(2), pp. 111-126. HORN, S.A., FORSANS, N. and CROSS, A.R., 2010. The strategies of Japanese firms in emerging markets: The case of the automobile industry in India. Asian Business & Management, 9(3), pp. 341-378. JOSHI, V., 2010. The Maruti Story: How a Public Sector Company Put India on Wheels. Vision, 14(4), pp. 331-334. MALJI, V., 2013. MARUTI SUZUKI INDIA LIMITED’s HR CHALLENGES AND OPPORTUNITIES. Vidwat, 6(2), pp. 19-23. MOTOHASHI, K., 2014. India as a Destination of the R&D of Multinational Companies: Importance and Management Strategies of Local R&D Centers. Seoul Journal of Economics, 27(1), pp. 115-136. ORIEKHOVA, A.I., 2016. Interpretation and Mission of Strategic Managerial Accounting in Management of Enterprises. Oblik i Finansi, 72, pp. 45-49. RASTOGI, P. and SHARMA, N., 2012. Case Study on Strike and its Impact with Special Reference To Maruti Suzuki India Ltd. Drishtikon : A Management Journal, 3(2), pp. 48-60. SHAFIULLA, B., 2016. End of the Road for Maruti 800: A Case Study. IUP Journal of Marketing Management, 15(2), pp. 86-89. SHUJAHAT, M., HUSSAIN, S., JAVED, S., MALIK, M.I., THURASAMY, R. and ALI, J., 2017. Strategic management model with lens of knowledge management and competitive intelligence. VINE Journal of Information and Knowledge Management Systems, 47(1), pp. 55-93. SHUKLA, H. and CHOTAI, V., 2017. Turn Around and Transformation through Leadership: A Case of Maruti Suzuki India. FIIB Business Review, 6(2), pp. 19-24. SINGH, N. and SALWAN, P., 2015. Contribution of Parent Company in Growth of its Subsidiary in Emerging Markets: Case Study of Maruti Suzuki. The Journal of Applied Business and Economics, 17(1), pp. 24-44. SINGH, S. and NAIB, S., 2017. NEXA: Attempting the Premium Connect. IUP Journal of Brand Management, 14(1), pp. 57-65. SOUMYA, S.U. and RAMANATHAN, H.N., 2016. Perception Mapping of Entry Level Passenger Cars – An Application of Multi Dimensional Scaling. International Journal of Marketing & Business Communication, 5(3),. SUZUKI, T., 2016. A coalitional production economy with infinitely many indivisible commodities. Economic Theory Bulletin, 4(1), pp. 35-52. VITOLLA, F., RUBINO, M. and GARZONI, A., 2017. The integration of CSR into strategic management: a dynamic approach based on social management philosophy. Corporate Governance, 17(1), pp. 89-116. YADAV, N., -, S. and SAGAR, M., 2015. Modeling strategic performance management of automobile manufacturing enterprises. Journal of Modelling in Management, 10(2), pp. 198-225.